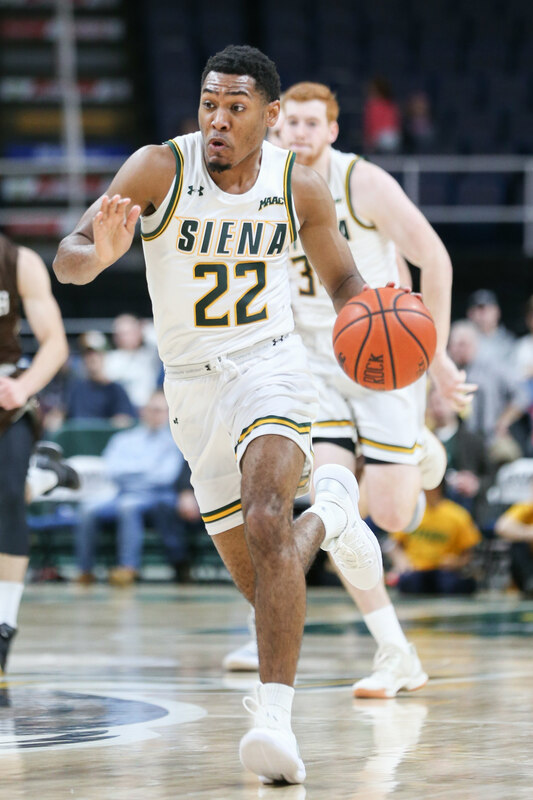 Siena guard Jalen Pickett (#22) drives to the basket in a loss to Lehigh. 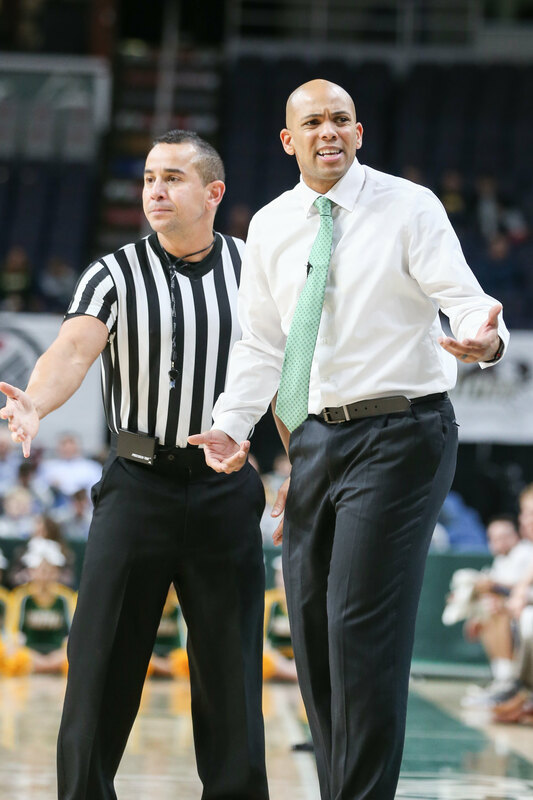 Photo: Robert Dungan/Upstate Courier. 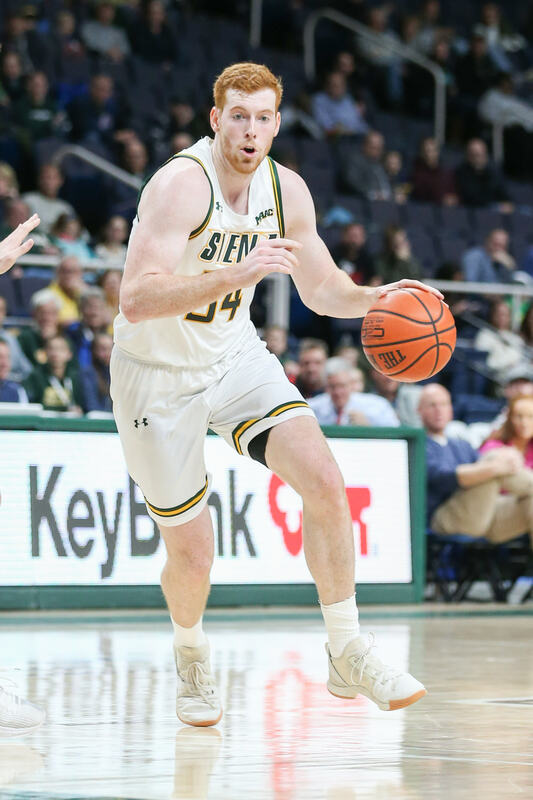 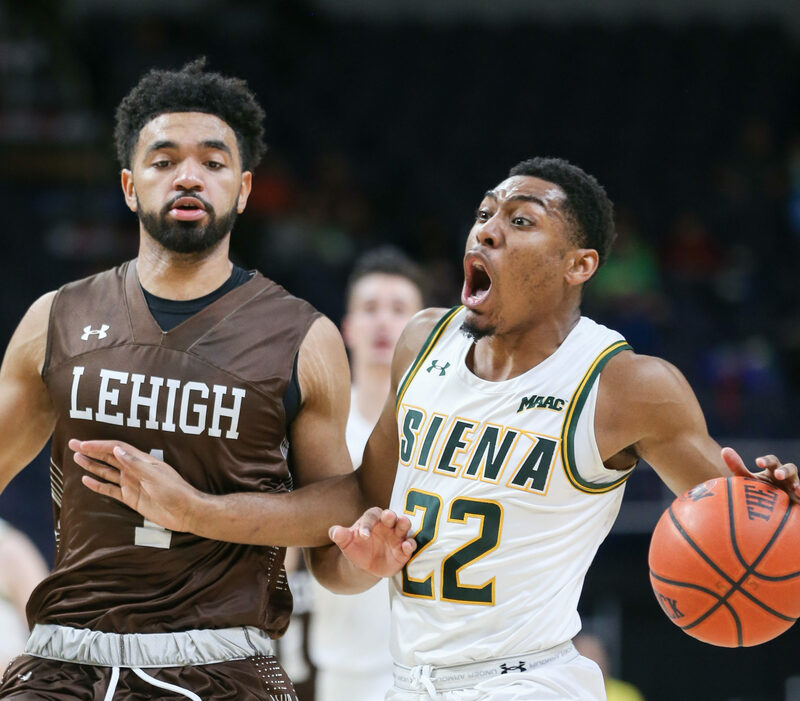 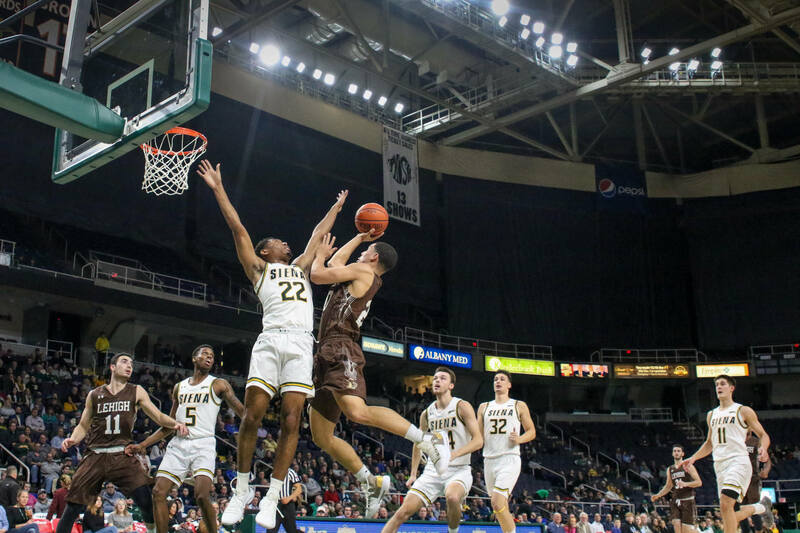 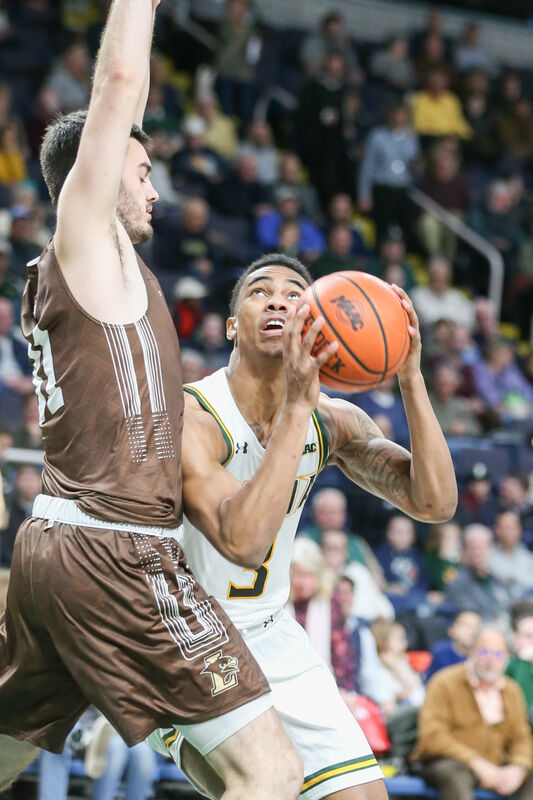 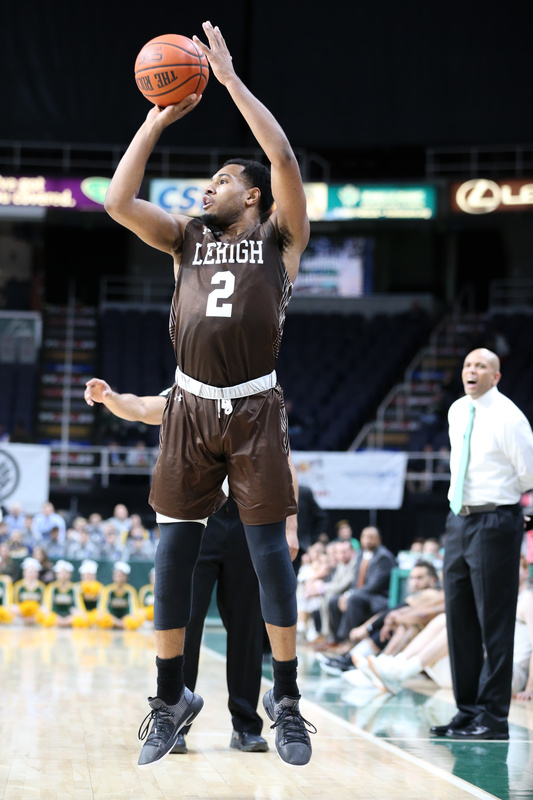 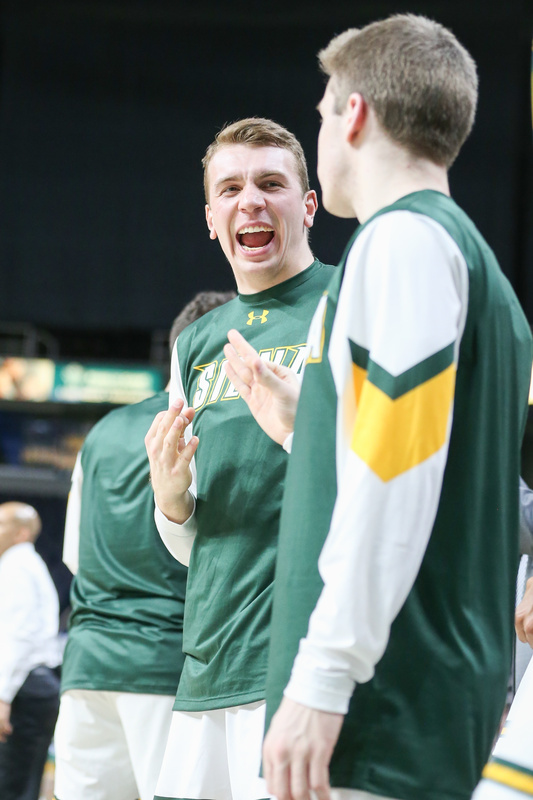 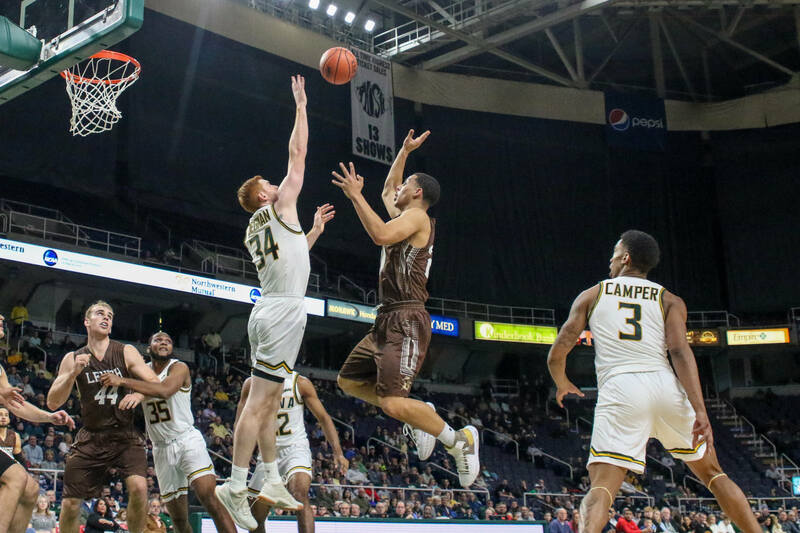 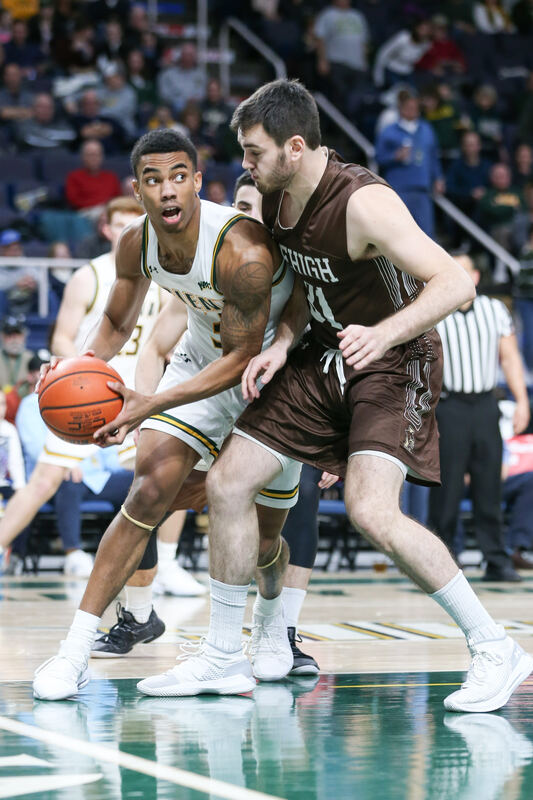 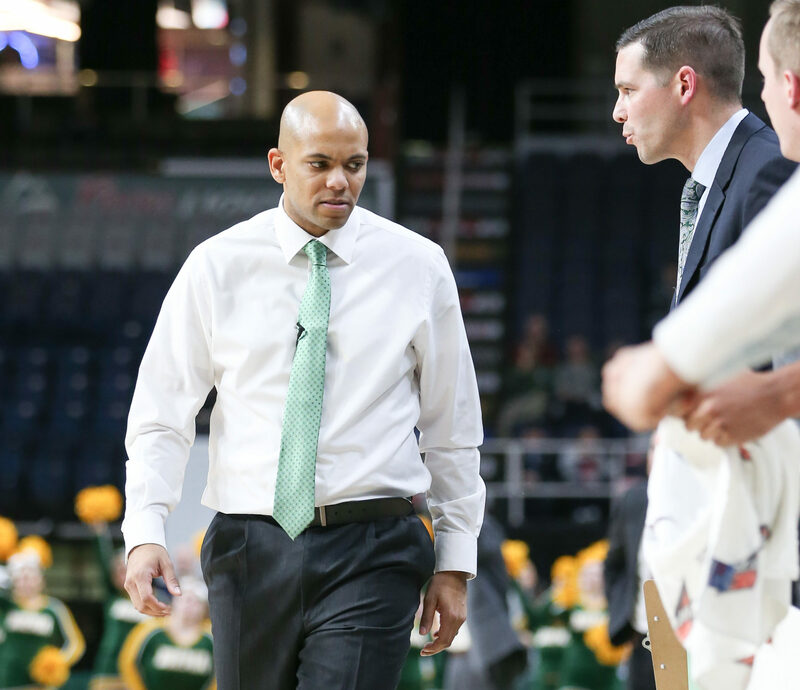 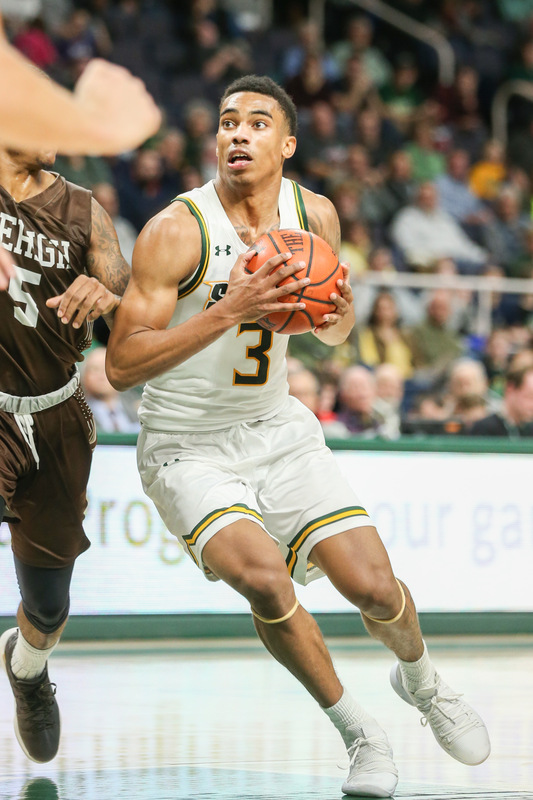 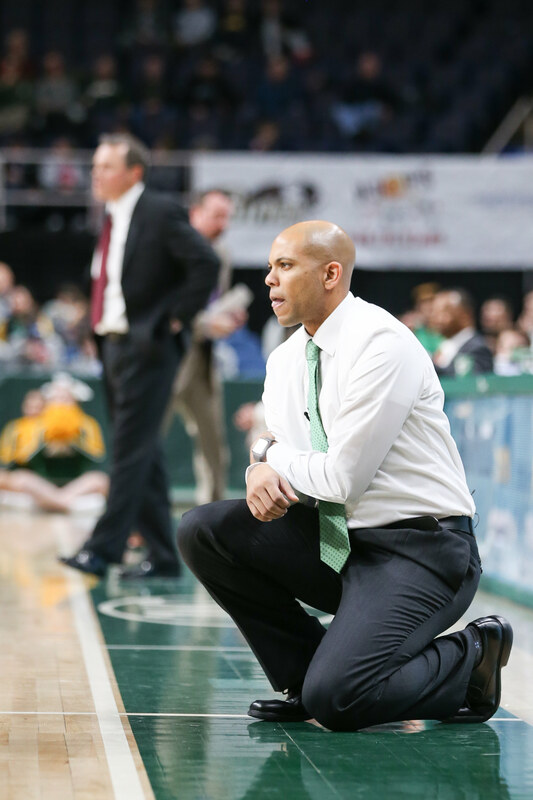 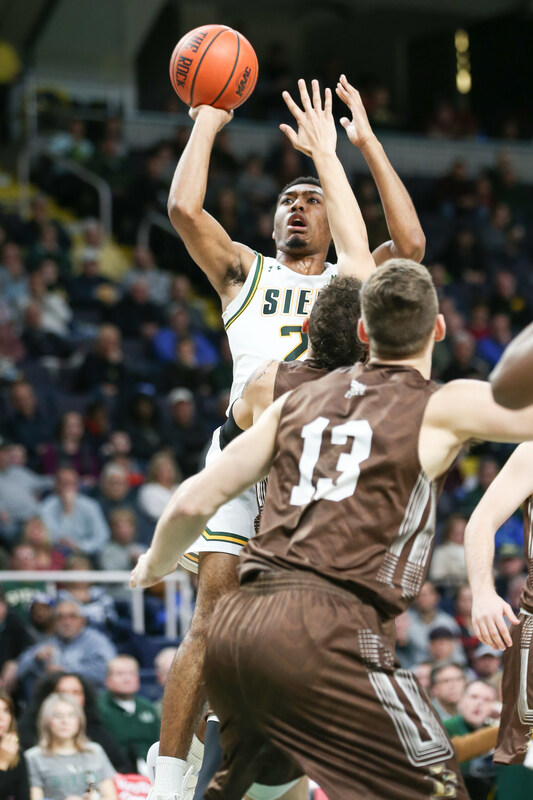 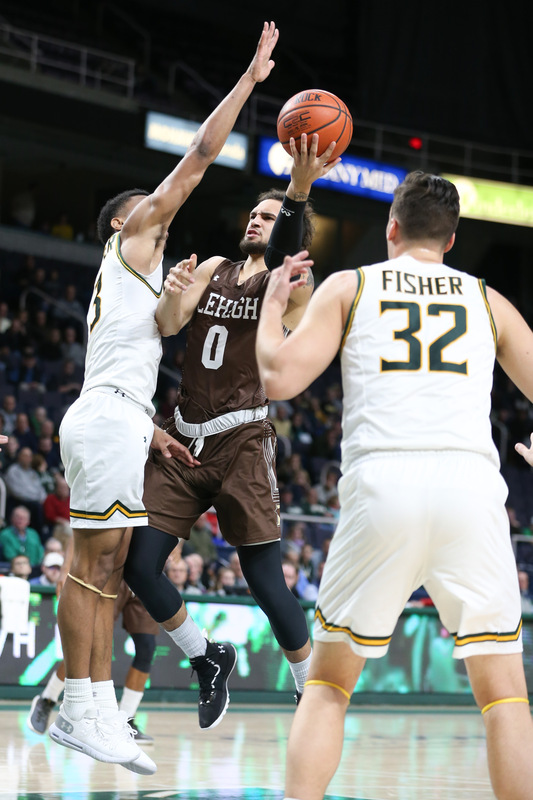 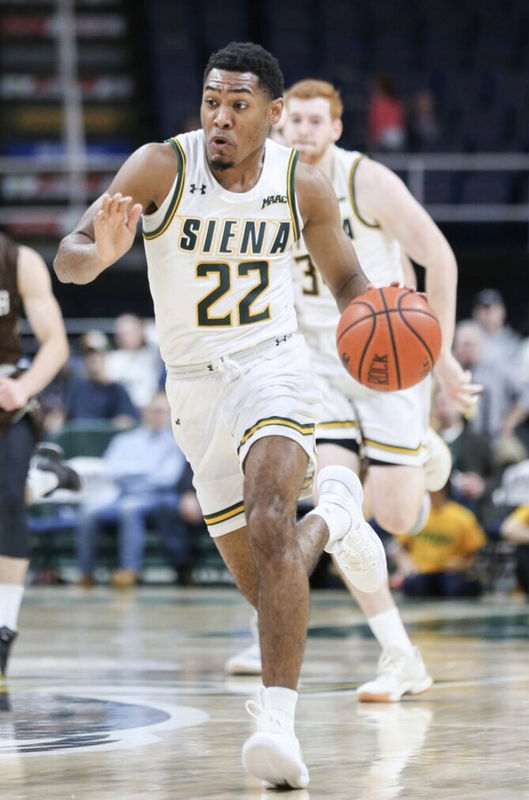 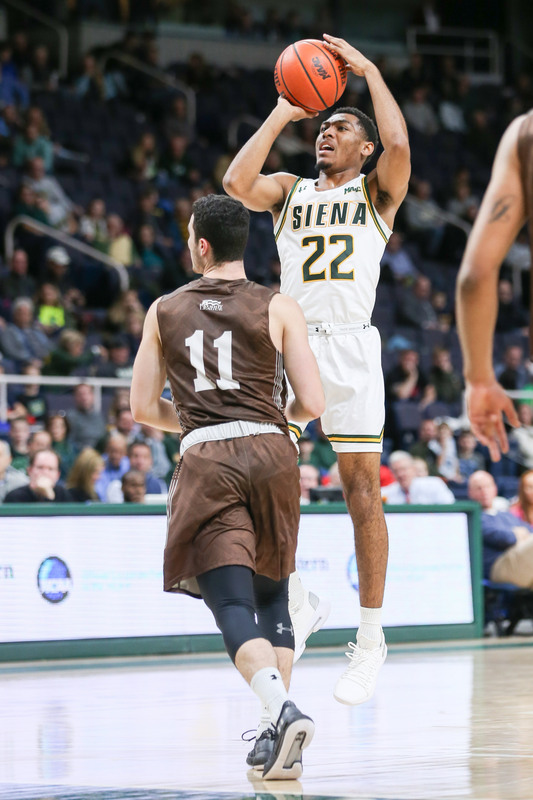 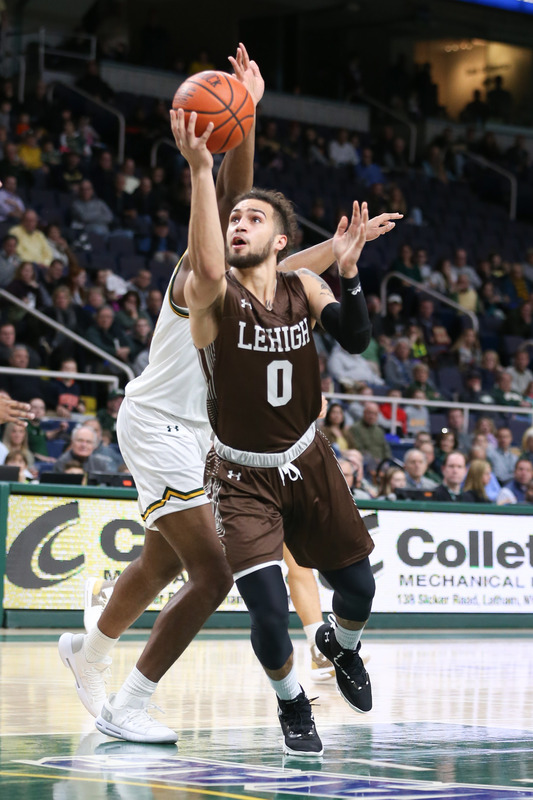 ALBANY, NY – Patriot League preseason favorite Lehigh scored 10 unanswered points down the stretch to pull away from the Siena men’s basketball 80-69 in the home opener, and spoil new head coach Jamion Christian’s Times Union Center debut.